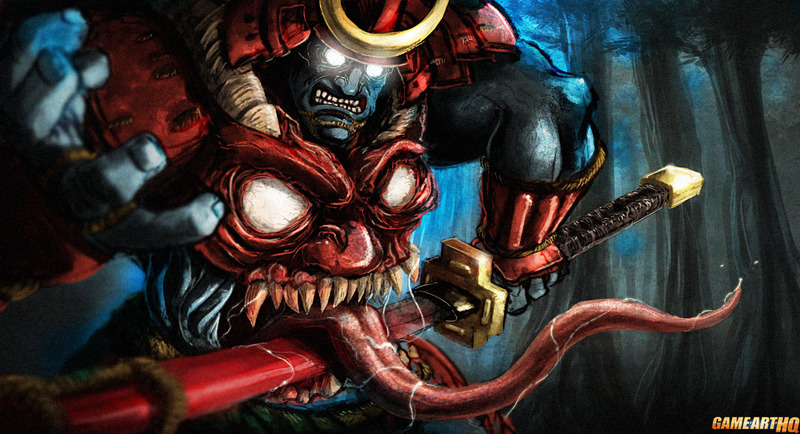 Bishamon from the Darkstalkers fighting games is the maybe most scary and serious looking character in that series..and Pio Paulo Santana from Glendale, California just made Bishamon a ton scarier than he was in the games already with this fan art. This was actually an submission for our Darkstalkers art contest we held in mid 2011 for two months. Over 30 fan arts around Bishamon, B.B Hood and co were submitted, this was one of the best from them.